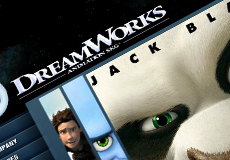 Animators at DreamWorks have to work in low resolution — “as if blind” — because rendering takes a week for 3 seconds worth of animation. “CEO Jeffrey Katzenberg said his company’s four-year partnership with Intel is developing scalable multicore processing methods and software that will change all that,” reports Forbes. The technology will also be widely applicable in areas that use high-end rendering, including medicine, oil, aircraft design and more. “This literally is going to revolutionize waiting,” suggests Katzenberg. The American Optometric Association, the Consumer Electronics Association and the 3D@Home Consortium will issue a report entitled “3D in the Classroom: See Well, Learn Well” that will promote 3D in the classroom. The report, endorsed by James Cameron and Jeffrey Katzenberg, also makes the case for 3D eye exams. The AOA has been taking issue with a position by some companies to recommend that 3D not be used for children younger than 6 years of age. They also dispute the recommendation against prolonged 3D viewing, as there is no medical evidence to support this.